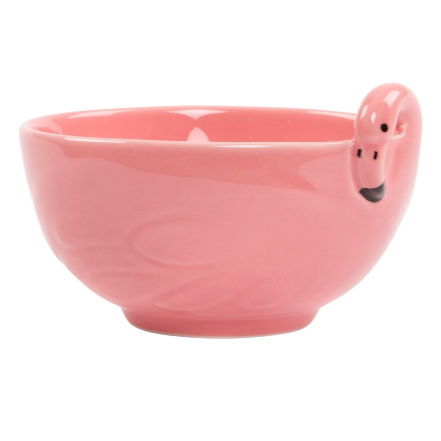 Keep those tropical summer vibes going all year round with this Tropical Flamingo Bowl. No matter the weather outside, it’s always warm and sunny when you’re eating from this bowl! The subtle flamingo head features on the outside and stands out with its black eye and beak on the luscious pink finish. We have some other great Flamingo design gifts. Have you seen the Flamingo Salt & Pepper Shaker Set? Flamingos have been having a bit of a moment and everyone at Sass & Belle can see why. Original, colourful, and beautifully unique, they lend themselves to quirky design. 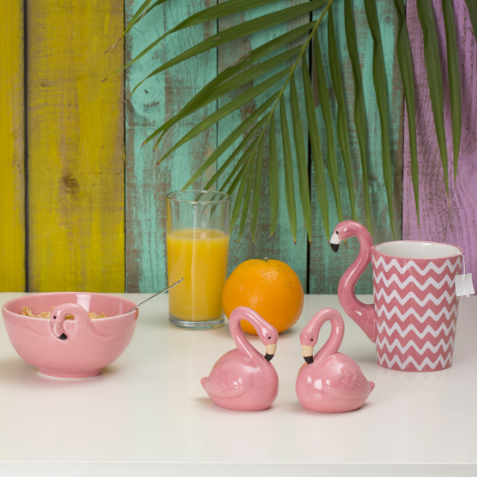 In this fun collection, you’ll find homeware and gifts in fabulous flamingo prints. It is safe to say that we love the flamingo trend!